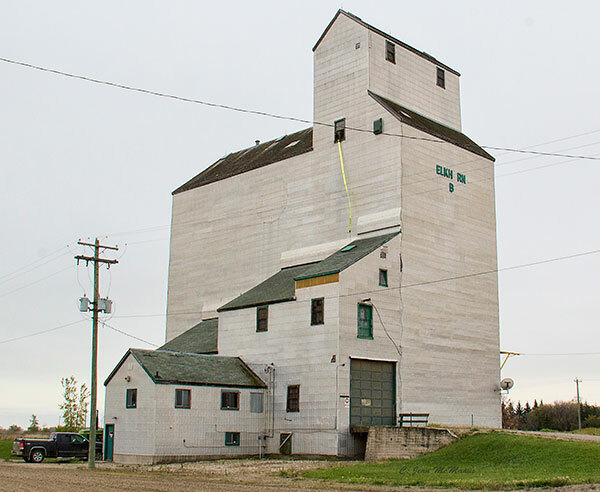 A wooden grain elevator in Elkhorn, on the CPR Broadview Subdivision in the Rural Municipality of Wallace-Woodworth, was formerly operated by the Manitoba Pool Elevators. Its corporate insignia have been removed and the building is no longer serviced by a railway line. 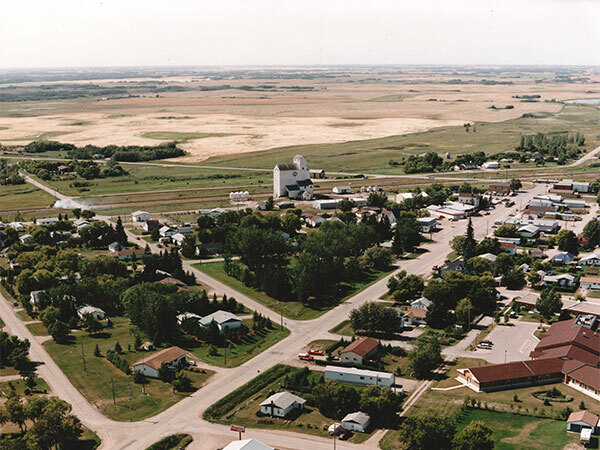 It is used for local grain storage. Obituary [Lloyd Henry Hackman], Russell Banner, 16 April 1991, page 9.